There is a need to mentor boys in our community, especially in schools. Schools should not focus merely on improving test scores, but should also provide opportunities for students to develop their full potential. 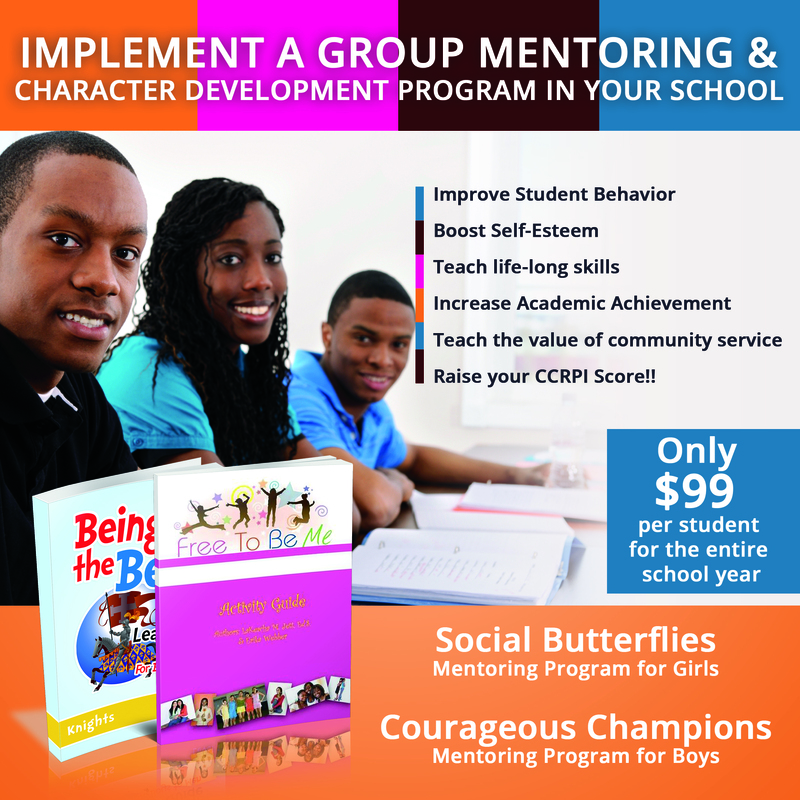 Courageous Champions is a school-based mentoring program that empowers boys to make positive life choices that enable them to maximize their social and academic potential. The program uses adult volunteers to commit to leading a group of young men through the program for the entire school year. The program yields transformational results such as fewer discipline problems and higher academic achievement. The mission of the Courageous Champions Mentoring Program is to impart knowledge and wisdom into young men that will enable them to become responsible, productive citizens. All participants become active in advancing their own personal skills by challenging themselves to improve. Courageous Champions is a three-year transformation process. Beginning in 3rd grade for elementary schools, 6th grade in middle schools and 9the grade in high schools, bi-monthly meetings take place in an after school setting for 60-90 minutes. The sessions are led by school personnel or volunteers in the community called group leaders. Group leaders provide students with meaningful lessons on character development, responsibilities and life skills. Students complete workbook activities, journal writing, book talks and community service activities. Through this program, students are equipped with the self-confidence and skills they need to succeed in today’s society. Join the Movement Start a Chapter of Courageous Champions at your school, church or community organization? Champions Step Up is an interactive conference exclusively for boys and men ages 9 and up. The sole purpose of the conference is to give strategies and principles of manhood and dream building to young men. The conference includes a host of workshops that focus on personal responsibility, dream building, nutrition and physical fitness. Positive male role models lead the workshops and a community or business leader in business is invited as the keynote speaker. Our goal is to expand and spread this program to multiple cities to help parents and community leaders bring change to boys nationwide.